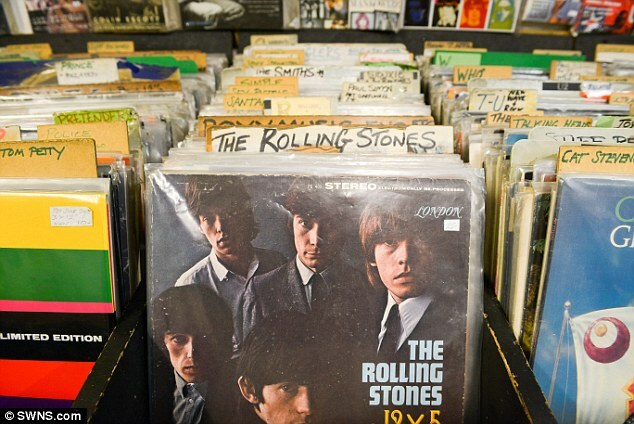 London’s oldest record shop and its rare collection of 25,000 albums is being sold on eBay for £300,000. 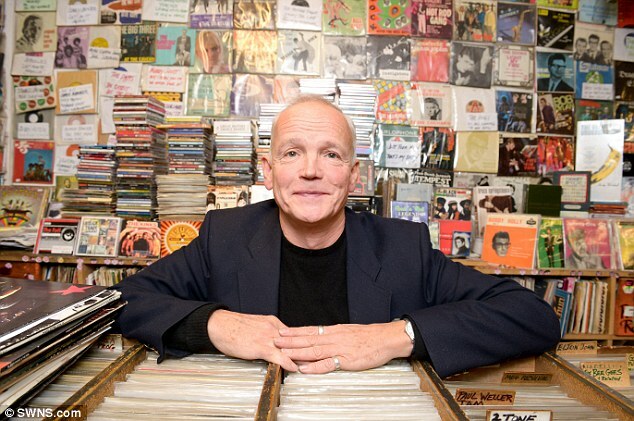 Owner Tim Derbyshire, 59, has decided to sell On The Beat on Tottenham Court Road after falling interest in vinyl records has left him struggling to turn a profit. 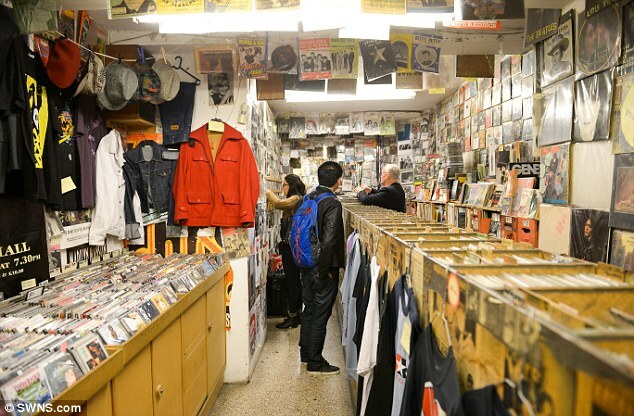 The shop, which is a stone’s throw from famous music street Tin Pan Alley, has been a favourite among music enthusiasts and celebrities since the 1950s. 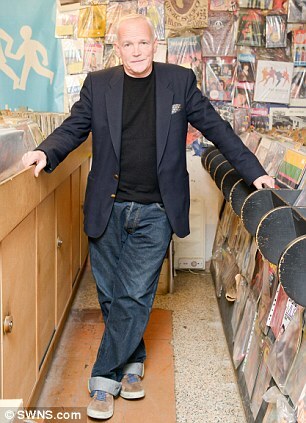 Mr Derbyshire who has spent 35 years in charge of the vast collection of records, said that although he gets to meet ‘the occasional pop or rock star’, his time at the shop has come to an end. ‘I have really enjoyed my time running the shop. I’m just so tired now. 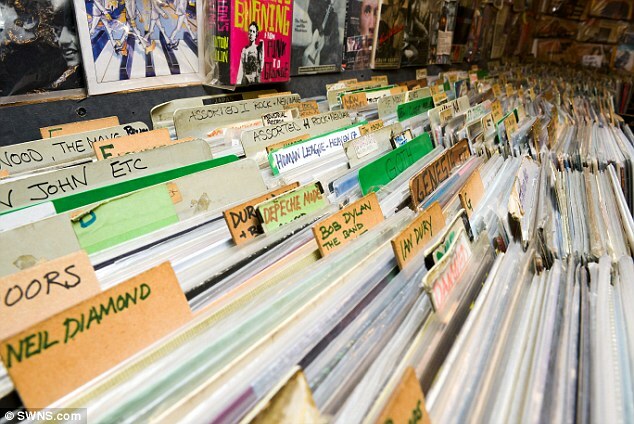 ‘But even with more people buying vinyl these days, it’s a struggle to make ends meet. ‘I just can’t do it anymore – it has been my life for so many years. It’s a real opportunity to live the High Fidelity life. 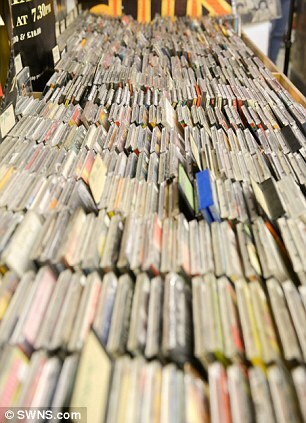 ‘Someone will have to have a love for vinyl records in their blood to take over my shop. ‘It’s got a lot going for it, it just needs the right person. 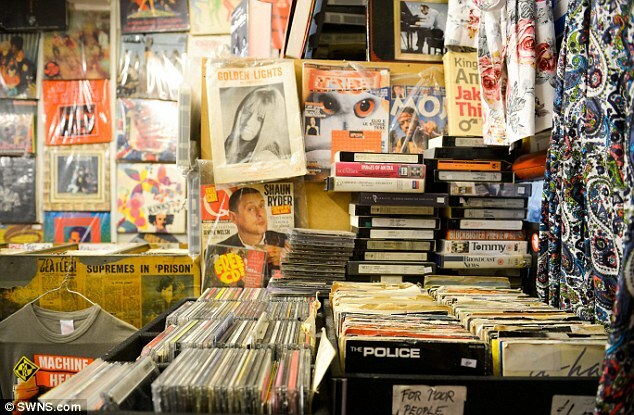 Bachelor Tim says he has already had a lot of interest in his record store, situated in the heart of the capital’s music publishing district. On the internet auction listing, he wrote: ‘I’ve given it my heart and soul for all these years but it’s time for me to step down and let another passionate music lover take over. 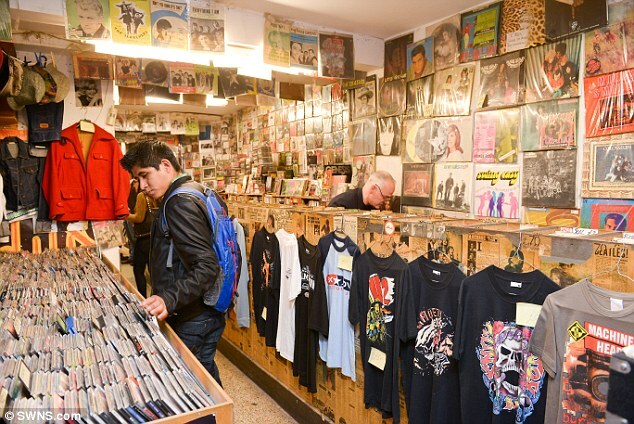 ‘If you’re at the stage in your life when you don’t have to worry about making money but can live the bohemian life, meet interesting people every day and the occasional pop or rock star, here’s your chance to take over the oldest record shop in the centre of swinging London. 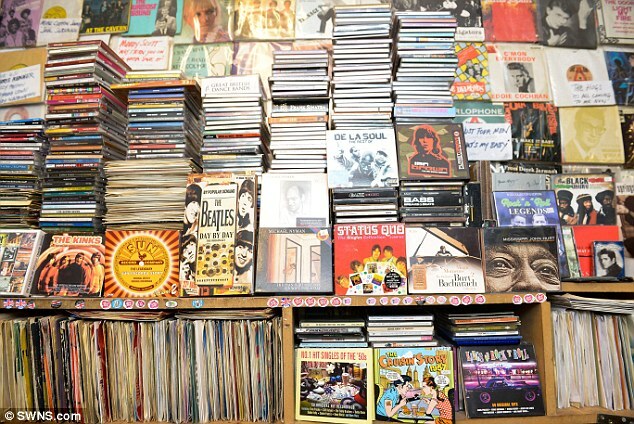 The store, along with the entire collection of records and memorabilia, including rare Beatles LPs, and vintage record players is for sale.